Living with physical pain is no easy thing. If left unchecked, it can degrade the quality of your life by precluding you from activities you want or need to perform. Maybe you like taking long drives, making dinner, or doing yoga; pain in the neck, back, and/or shoulders can put a damper on the enjoyment or satisfaction any of those things brings. Chiropractors deal with such issues on a daily basis, and use specific treatments to mitigate and even alleviate them. Of these, there are two that people frequently confuse: cold therapy and cold laser therapy. Cryotherapy involves application of cold to bring on pain relief and healing in a patient’s body. It is practiced in many forms, and includes everything from the use of simple cold compresses, to full-blown ice baths and cryotherapy chambers. The healing benefits of subjecting the body to cold temperature can be experienced through a variety of methods. A lot of the time, chiropractors supplement muscle and joint pain treatment with cryotherapy techniques for best results. When these are availed in succession with chiropractic care for auto accidents, it can benefit the patient greatly in terms of pain relief near and at injured parts. Cryotherapy has been definitively shown to bring the following advantages. It brings down swelling and inflammation by making the blood vessels contract, and by regulating how your immune system responds to stimuli. It mitigates pain by numbing the nerve endings in the targeted area for a short while, so that pain signals are not sent to the brain. It poses an affordable, easy-to-use, drug-free method of pain relief, which can be used at a clinic or even at home. Note that cryotherapy is not advisable over areas that have poor circulation or even low sensation. It is generally also seen to be a bad idea to use ice over a particular area for more than twenty minutes at a stretch. Barring these two things, cryotherapy has been proven extremely effective as an add-on treatment for people dealing with chronic and acute pain. This form of therapy involves placement of devices called cold lasers over sore and uninjured areas on a patient’s body. In size, these things come close to a flashlight. 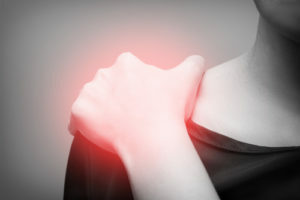 Cold lasers are generally held directly over the area to be treated, and based on what you specific condition is, the chiropractor devises a treatment plan that suits you best. They employ a specific treatment frequency depending on the size of the targeted area, any underlying conditions you may have, your health goals, etc. Cold lasers low level lasers, and as such are completely safe. These emit low-level light that does not raise the temperature of body tissue. The light that hits skin passes through its different layers and then through fat. After reaching the target area, it gets absorbed by the mitochondria in the cells, which converts it to utilizable energy. In short, cold laser therapy “recharges” your “battery” cells and makes them better at absorbing nutrients and removing waste. This works a lot like photosynthesis, where plants absorb light and use it to grow and thrive. One of the higher modes of cold laser therapy uses higher-frequency lasers called Class IV cold lasers, which speed up the intended results by a significant rate. While normal cold lasers evoke no sensation or feeling, class IV cold lasers generate a certain kind of warmth when used on the body. They are more powerful than other cold lasers, which means that the degree of penetration they provide is much higher. This form of treatment brings no pain other than what the patient is already experiencing. It can be concluded quickly, and application of light is painless. People who get chiropractic care for auto accidents and follow that up with therapy using a Class IV cold laser stand to gain significant benefits in minimal time. Lots of clinical studies over the years have proven that cold laser therapy works on chronic pain as well as different levels of inflammation. This cuts the need to consume pharmaceutical pain relievers. Cold laser treatment is completely non-invasive as well as nontoxic. At no point is a patient required to undergo a chemical injection, incision, or exposure to radioactivity. Cold laser therapy has no unpleasant side effects. This comes into better perspective when you consider the alternative of using other pain relievers, which could drag in issues such as addiction, stomach ulcers, and a weakened immune system. A variety of conditions can be treated this way, such as soft tissue injuries, arthritis, tendonitis, ligament sprains, and muscle strains. The effects of treatment extend over a long while, because instead of simply masking pain, cold laser therapy heals injured tissue.